We are the UK’s leading experts in advanced treatments to help clients stop smoking. Over the last 13 years our unique treatment programs have helped over 5,000 private clients stop using nicotine and cannabis. Due to our success we have 11 UK treatment centres based in Central London, Uxbridge, Dorset – Sherborne, Birmingham, Nottingham, Wolverhampton, Crewe, Greater Manchester, Yorkshire – Crakehall, North East – Durham and Inverness in Scotland. 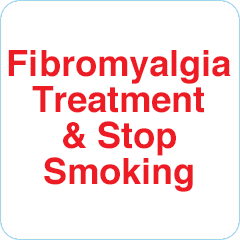 We now have treatments to help with Fibromyalgia, for more advice call us today to discuss your requirements.